Victoria House Annexe01263 715779work01603 870304fax Self-catering• Victoria House Annexe is a modern, detatched single story property built in a style that compliments Victoria House. Other: Linen and towels provided. Also books and games. 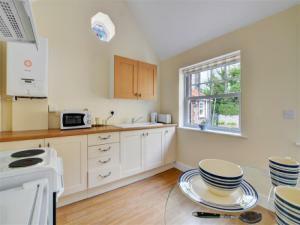 This property can be booked in conjunction with 1586 providing accommodation for 7 people. Please be aware that the annexe does not have a sitting room. • Victoria House Annexe is a modern, detatched single story property built in a style that compliments Victoria House.